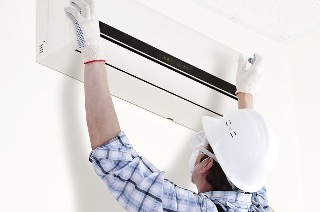 Air Conditioning has become a very crucial requirement in every home and office. With atmospheric temperatures rising with time, it has become so difficult to survive without an air conditioner especially to people who live in tropical climates for example Singapore. With the demand for AC always increasing, the manufacturers are not only trying to come up with efficient equipment but they are also trying to make them stylish so that they will groove well with your house's decor. The cost of running an AC is something that everyone should consider. The manufacturers understand this and therefore you will find that most of the AC in the market are energy saving. It is important to ensure that the AC you choose provides superior air quality to ensure that your health is not put at risk. To ensure that you an equipment that is of high quality, it would be important to look for models that have been approved by the National Environment Agency. After spending a good amount of money in buying a high quality AC in Singapore, it would be important to ensure that you maintain it properly to ensure that it continues functioning effectively throughout its life. That is where Aircon chemical wash comes in. The cleaning ensures that you air conditioner is protected from problems such as mold growth, bacteria growth and also water leaks. To prevent hitches- If the AC is not adequately cleaned there are many things that can happen that can make it perform dismally. The buildup of bacteria and the growth of mold can lead to clogging of the AC. If this is allowed to continue for some time, The AC might break down and the result is that water will start dripping. It is most likely that the dripping will occur on your valuable assets for example your computer or even your bed while you are asleep. Chemical wash ensures that the AC is running properly at all times and it also helps to increase the life of your equipment. To prevent bad odors in the air- Failure to adequately clean the ac could lead to bad smelling air at home or in the office. The action of accumulating bacteria on the deposited dirt could be the major cause of these bad smells. Aircon chemical cleaning is the most effective in killing these bacteria and consequently the most effective way to ensure that the air is of very high quality. To prevent breakdown of the machine- Ordinary way of cleaning the ac where you open up the equipment to remove the accumulated dirt is a good idea but if not done carefully could damage the equipment all together. Chemical wash ensure that cleaning is done while the equipment is intact and therefore the risk of damaging it is minimized. This helps to improve on the life of the machine. Improve efficiency- There is nothing as important to a home owner as to have a properly working device. An efficient ac will ensure that you don't have a sleepless night just because it failed at night and therefore you spent the whole night sweating. An efficient machine will ensure that you don't have to be worried that you cloths will be damaged by the leaking AC just because it broke down while you were not in the house. Chemical cleaning plays an important role in ensuring that your ac is at its best working condition at all times. Better health- Chemical ac cleaning ensures that the device is only proving safe air for breathing. The ac is expensive equipment and therefore it will be a great disservice if it will be supplying you with contaminated air. Fresh air is one way of ensuring that you remain healthy all along.